Date: January 25 to February 4, 2021 (main tour) with an optional 3-day extension to Jordan, including beautiful Petra. Cost: $4,192 per traveler (from Washington DC) plus $1,177 if you choose the optional 3-day extension to Jordan. Discounts apply for early registration starting at $150 per person. 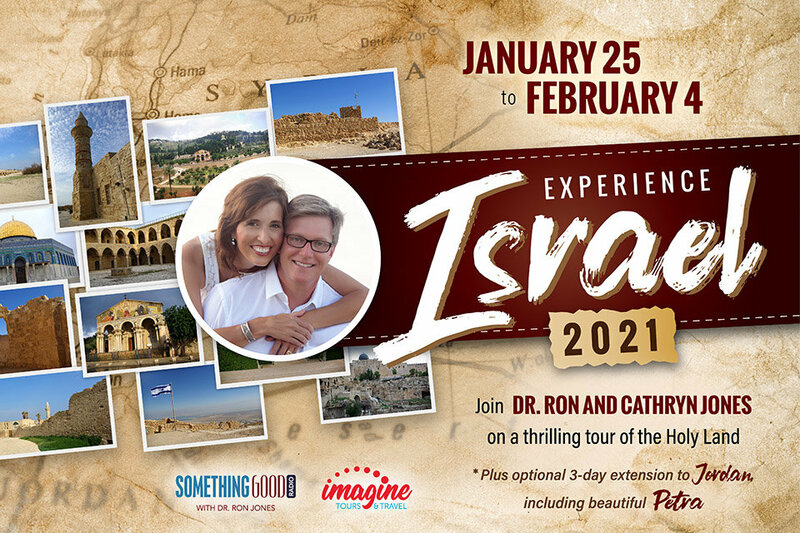 Experience Israel 2021 also provides a great opportunity for the pastor of any size church to join with us and lead his people on a life changing tour of the Holy Land, while enjoying fellowship with other pastors and churches from across the country. 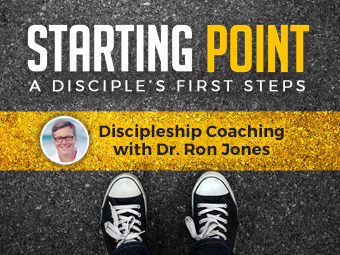 In preparation for the tour, pastors receive personalized coaching, teaching resources, and operational support from Dr. Ron and Cathryn Jones. Don't miss this unique opportunity to walk in the footsteps of Jesus with your church family and others in the body of Christ. 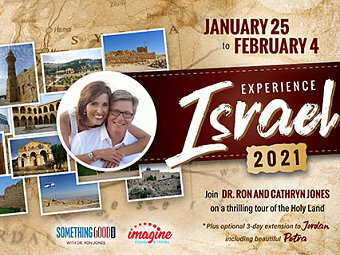 We are pleased to enjoy a special partnership for Experience Israel 2021 with our friends at SBC of Virginia. 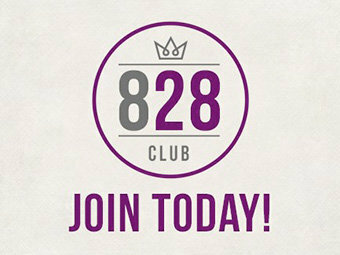 Learn more, download a brochure, and view the itinerary by filling out the interest form below. Registration is now open!